Adesso Bella Floor Lamp features thin chrome finished metal pole that fans out to a bell shaped weighted base and is topped by a black silk-like fabric cylinder shade. Both styles have a three-way touch sensor. Its contemporary design adds modern touch to any room setting. 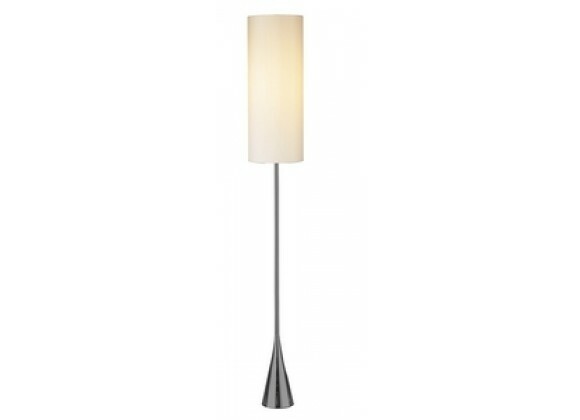 Contemporary Home Lighting Floor Lamp. Chrome finished metal pole that fans out to a bell shaped weighted base. Topped by a Black silk-like fabric cylinder shade.